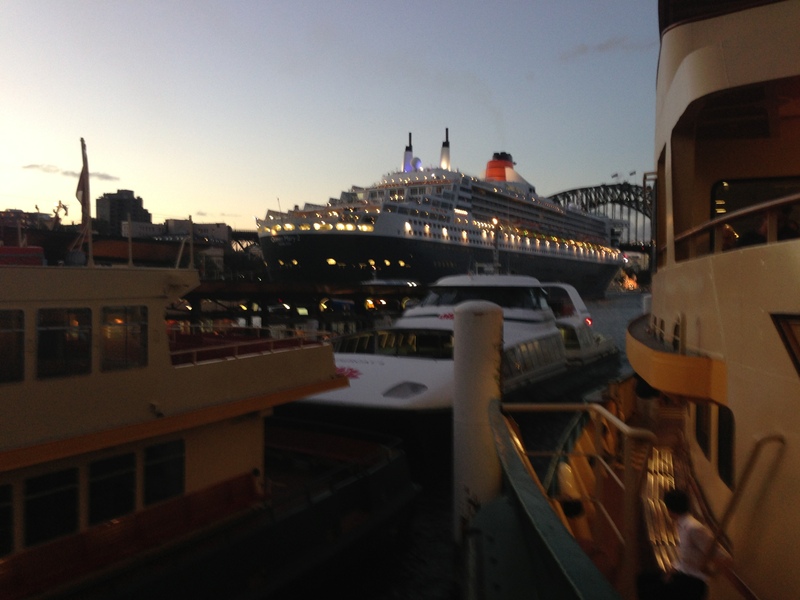 It’s been a stellar season for cruise ships in Sydney Harbour this year. I can’t profess to be across the statistics of the cruise ship industry, but my sense is that it is booming. The slew of new boats with their amazing fit outs and features has been unrelenting. Not that the Back of the Ferry experience needs enhancing, but having a new big boat to look at on the way out is a welcome extra. Whilst it hasn’t gotten to the point that we are blasé about these mega-vessels, the Queen Mary 2 is one that definitely commands the attention. There’s something arresting about the colour scheme of a Cunard and the history that goes with being a “Queen”. Back of the Ferry has witnessed the Queen Mary 2 in the harbour before and even welcomed it through the Heads one day, but it is always worthy of a perve. Amazingly this boat has a planetarium. I think if I was going to cross the Atlantic, it would be on this boat. 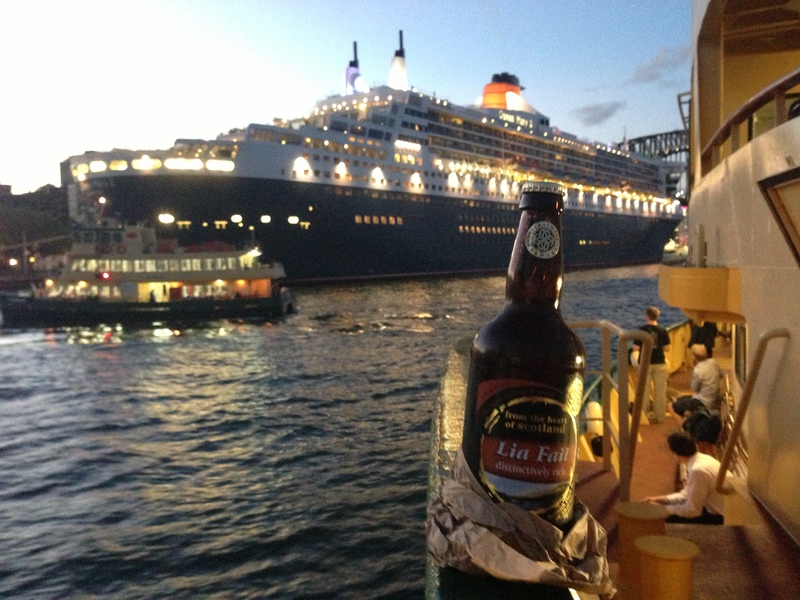 Coincidentally (or so I thought), the beer I’d picked up on the way to the ferry had a good link to the Queen Mary 2. Lia Fail is a dark beer made by the Inveralmond Brewery that is based in Perth, Scotland. “Bewdy” I thought, “I’ll toast the Queen Mary 2 no doubt named after Mary Queen of Scots with a Scottish beer”. Good plan, but the Queen Mary 2 is named for present Queen Elizabeth’s grandmother, who was actually half German. I still toasted the Queen Mary 2 with what was a beer suited for a less balmy night. Really good, malty, rich taste. Tasted like it would more alcoholic than its 4.7% – but I’d nail a couple of these when it gets a little colder.